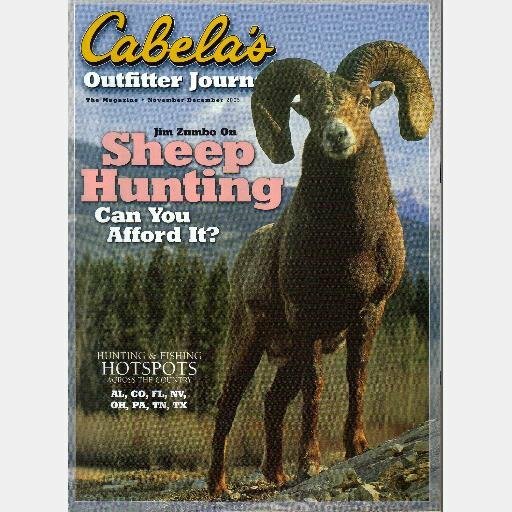 Here is CABELA'S OUTFITTER'S JOURNAL Magazine November December 2005 Vol 6 Issue 6, by Grand View Media. Issue is used, very good condition, almost like new, very light edge wear and rubbing to covers, no address mailing label, clean & unmarked, 176 pp. COVER: SHEEP HUNTING Can you afford it?